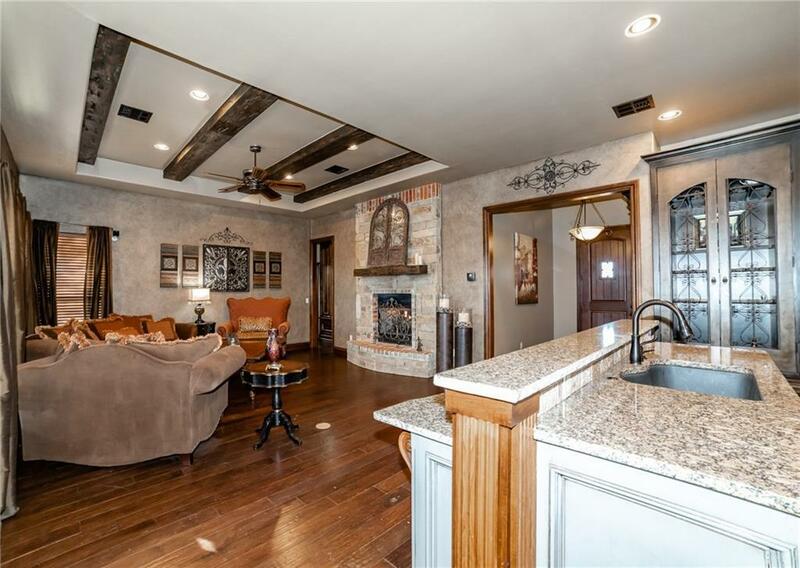 13220 NW 1st Terrace, Yukon, OK.| MLS# 852432 | Oklahoma City Real Estate | Apple Realty, Inc.
CHARMING TOUCHES, WARM INVITING OPEN CONCEPT ROOMS PERFECT FOR ENTERTAINING, AND A TRANQUIL PRIVATE BACKYARD OASIS DEFINE THIS GORGEOUS SETTLERS RIDGE HOME! Covered front porch, beautiful landscaping, sprinkler system in front & back yard, unique custom built-in features throughout the home, pass through fireplace between the living room & study, wood beams, real engineered wood floors, private study, large center kitchen island, beautiful granite counter tops in kitchen and baths, gas cook top, pot filler & so much more! Another amazing feature is the pass through master bath, huge master closet, and roomy utility room that leads to the kitchen/garage hallway. Then there is the private, relaxing, over-sized covered patio with outdoor brick fireplace!! Spend relaxing evenings watching movies, warming by the fire, gazing at the stars, & making new memories. This is the perfect home for entertaining friends & family in luxury as well as indulging in some quiet time. Hurry Home! !